Attorney Anne-Tyler Morgan has returned to her legal practice as a Member in the Lexington office of the McBrayer law firm. For the past two years, Ms. Morgan has served the Commonwealth of Kentucky as Senior Policy Advisor and Deputy General Counsel to the Kentucky House of Representatives in 2017 and as Deputy Commissioner for the Kentucky Department for Medicaid Services beginning in January 2018. Starting in May, she acted as Senior Advisor to the Secretary of the Kentucky Cabinet for Health and Family Services. Anne-Tyler Morgan previously practiced at McBrayer from 2013-2016 in the firm’s thriving healthcare and administrative areas. The McBrayer team is thrilled to bring Ms. Morgan’s extensive experience to serve the firm’s clients again. Having led the compliance department of a Fortune 500 managed care organization before private practice, Ms. Morgan now brings a unique public/private balance to her understanding of how healthcare providers can thrive in compliance with legal and regulatory guidelines. Ms. Morgan now rejoins the McBrayer team and will consult with healthcare stakeholders as a primary component of her practice, representing clients on issues ranging from compliance with the Commonwealth’s complex regulatory framework to the continued transformation of the state’s adoption and foster care systems. She will also assist clients with legal issues related to campaign finance, elections, and Political Action Committees. Ms. Morgan is strongly involved in the community as a member of the Lexington-Fayette Urban County Government’s Economic Development Investment Board, which helps to administer the local government’s Jobs Fund and works closely with Commerce Lexington to encourage growing companies make Lexington their home. She serves on the Advisory Board of Kentucky Refugee Ministries, which implements the U.S. Secretary of State’s requirements for the transition of new Lexingtonians to our warm and welcoming community. 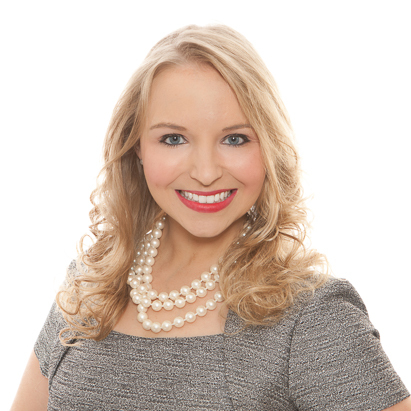 She has served on the Board of Directors of the Junior League of Lexington, the Transylvania University Young Alumni Steering Council, and the Downtown Development Authority’s RFQ Committee, as well as participating in such organizations as the Lexington Young Professionals Association and Rotaract. In 2014, she was honored by the American Bar Association with the “Young Lawyers Division Scholar,” one of only twelve in the nation to receive this honor.